People from South America are increasingly looking to buy property in Florida, with Miami the most popular place with many deciding to move to the city. Colombia has now led the online rankings compiled by the Miami Association of Realtors for three months in a row with Venezuela and Brazil in second and third place. “Despite the strength of the US dollar, international home buyers continue to search, buy and invest in Miami real estate. With 51% of its population foreign born, Miami has a unique history of welcoming and embracing all cultures. International home buyers feel at home here,” said Mark Sadek, chairman of the board of the association. Venezuelans buy the most property in Miami when it comes to overseas buyers, accounting for 13% of sales, followed by Brazilians with 12% and Columbians with 11%. The 2015 Profile of International Home Buyers report shows that Colombians moving to South Florida are often upper middle class families who want to enjoy their prosperity earned in their homeland as professionals and entrepreneurs. 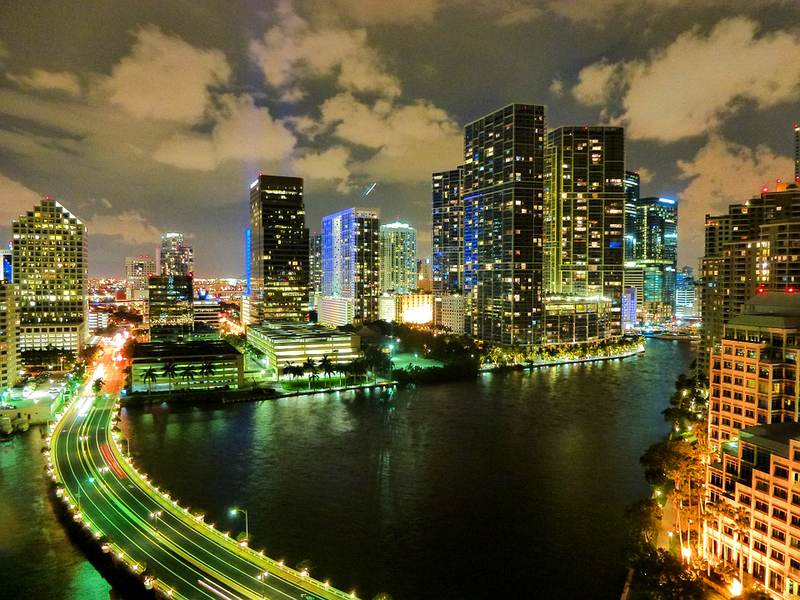 The data also shows that Colombians spend the second most on South Florida property among foreign buyers. The $516,000 average purchase price of Colombians tied with Argentina with Brazil top, spending $766,000. Potential buyers from both the Philippines and the UK increased their online interest in South Florida real estate in February 2016. The Philippines ranked fifth, the country’s highest finish, for three consecutive months. The United Kingdom improved from last month’s eighth place ranking to finish seventh. When it comes to Americans investing in Miami property the highest number searching came from Texas, followed by California, New York, Georgia, Tennessee, Illinois, Michigan, North Caroline, Pennsylvania and Ohio. Miami tops the table for overall real estate demand in the United States, followed by Los Angeles, Bellingham, Washington State, Honolulu and then Kahului in Hawaii, Orlando, New York, Tampa, Houston and Seattle.